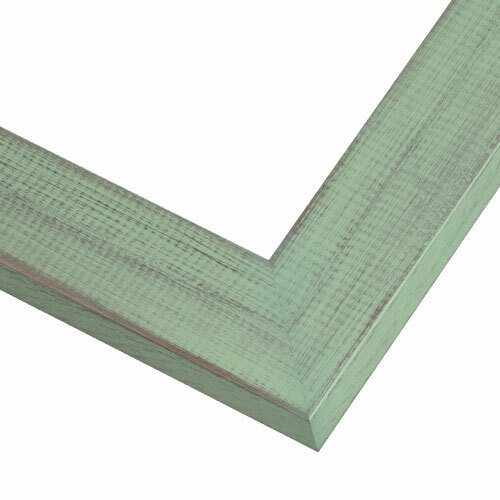 Brighten up your walls with this bright mint green picture frame. It features a modern, flat, squared profile and a subtle distressed finish for a fresh rustic style. It makes a charming photo frame, mirror frame, kid’s art frame or corkboard frame. Handmade by our Artisans from natural wood grown in sustainably managed forests, it’s an eco-friendly choice! Custom sizes to 1/8th of an inch! Color was perfect match for other accents in my kitchen and frame was perfectly constructed with a nice distressed finish. 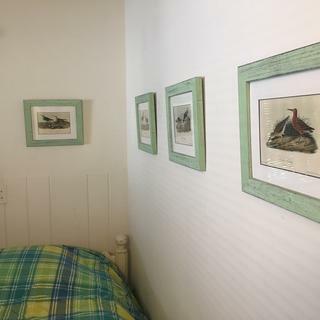 These worked great for a series of smaller Audubon prints. I needed a colorful frame against a dark wall, and the mint green perfectly picks up the color of green copper rooftops of Old Montreal. To highlight the image it will frame.